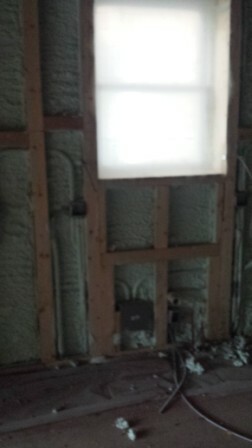 You are here: Home / blog / Insulation! Ok, not so exciting unless its winter in CHICAGO! 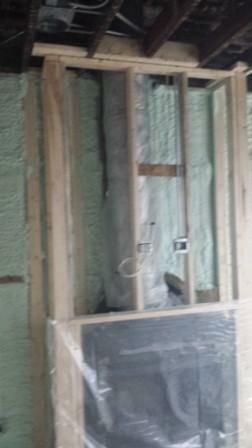 Just in time — insulation has arrived at this custom home in Chicago’s Andersonville neighborhood. So it is suddenly MUCH quieter and MUCH warmer inside – with no heat on! 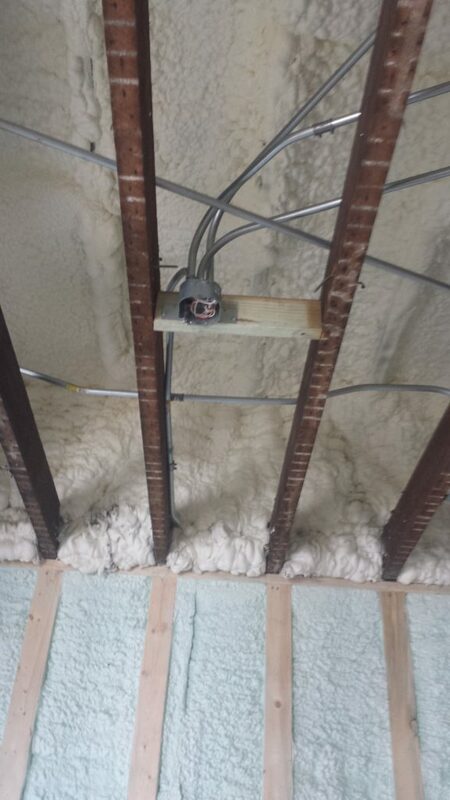 Spray foam insulation is newer to the scene that the classic pink fiberglass insulation we all know (Pink Panther has the answer, right?). 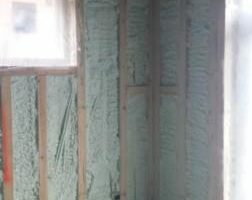 While the pink stuff has worked great for a lot of years, there is really no comparison to the tight seal and instant warmth with spray foam insulation. The crew arrives and tapes off all the windows and floors and covers them in plastic. Then they fire up the truck that mixes the actual material, they suit up and start spraying. 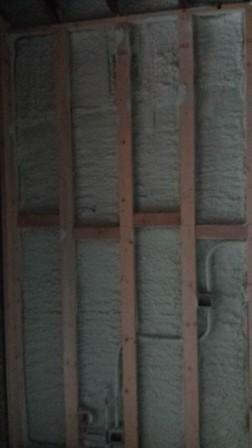 They fill in between all the exterior framing and up into the roof rafters. 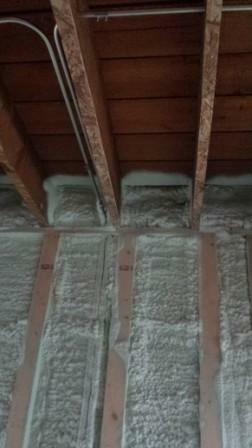 There are 2 kinds of spray foam insulation – open cell and closed cell. Each has different attributes and each is suited to different applications. 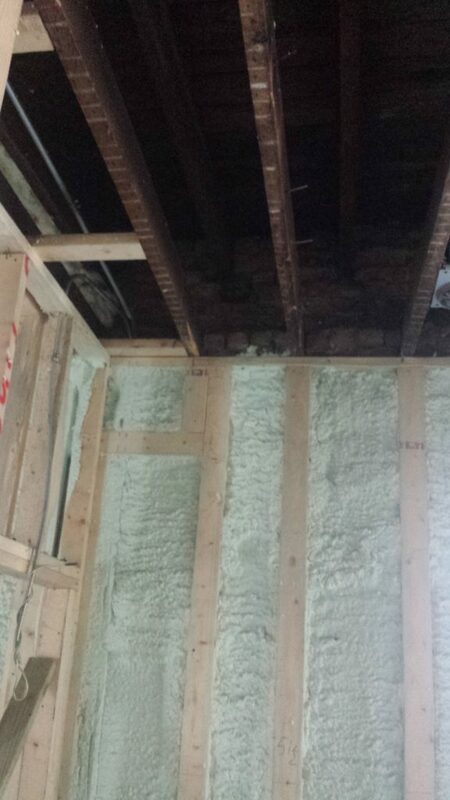 Here we are using both open and closed cell – closed in the walls, open in some walls and the inaccessible ceilings. Make sure you know what is going where, and why. 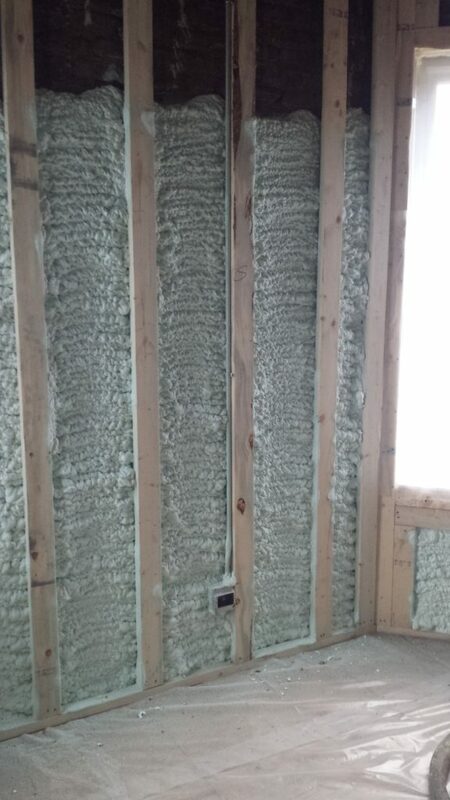 Some folks only want one kind or the other, but it really should be location driven – the location of the insulation, not the location of your house! 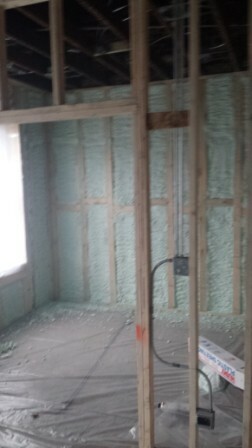 At this point all the rough mechanicals are in – electrical, heating & cooling and plumbing. 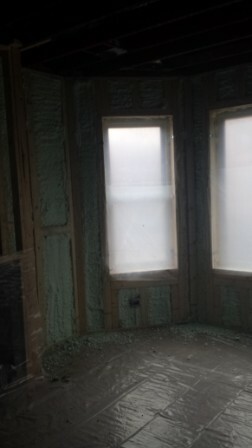 All the “rough” work – also known as that stuff inside the walls you don’t see but is crazy important to do right – is done. 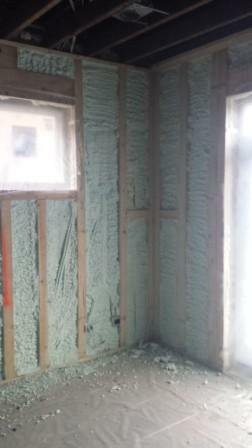 So the spray foam insulation is applied around or on all those rough applications. 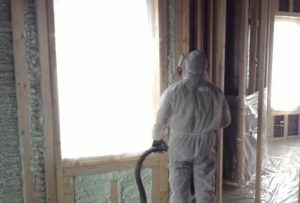 When creating a new custom home from an existing 2-flat, it is important that all that stuff inside the walls is done correctly – everything old was ripped out, everything new needs to be up to today’s standards and codes. Once all that nitty gritty stuff is installed and updated and correct – on the funner stuff — finishes you can see!